Bathrooms can be overlooked as style statements because of their functionality. 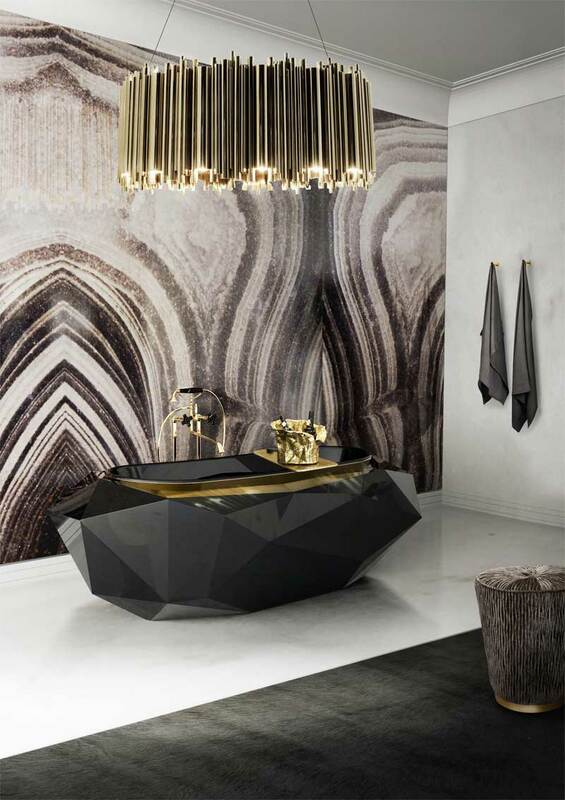 The ani M INTERIORS team is here to help you create a bold and beautiful bathroom. Bathrooms need different lighting at different times – bright, clear light for skin cleansing and applying make-up and diffused, relaxing light for a luxuriating soak in the bath. Lighting is key to achieving the desired ambience in the bathroom but it can also be a statement in itself. Delightfull’s Brubeck central light is a fantastic example. There is a dizzying array of tiles available on the market with more shapes and styles than ever before. You can create everything from a Victorian bathhouse to a Moroccan secret garden, even a futuristic bathroom that wouldn’t look out of place on a space station. Ann Sacks’ metallic Ogassian 12″ Japanese geo-ceramic tiles are irresistibly tactile, reflect light for different effects throughout the day and add an unexpected twist. 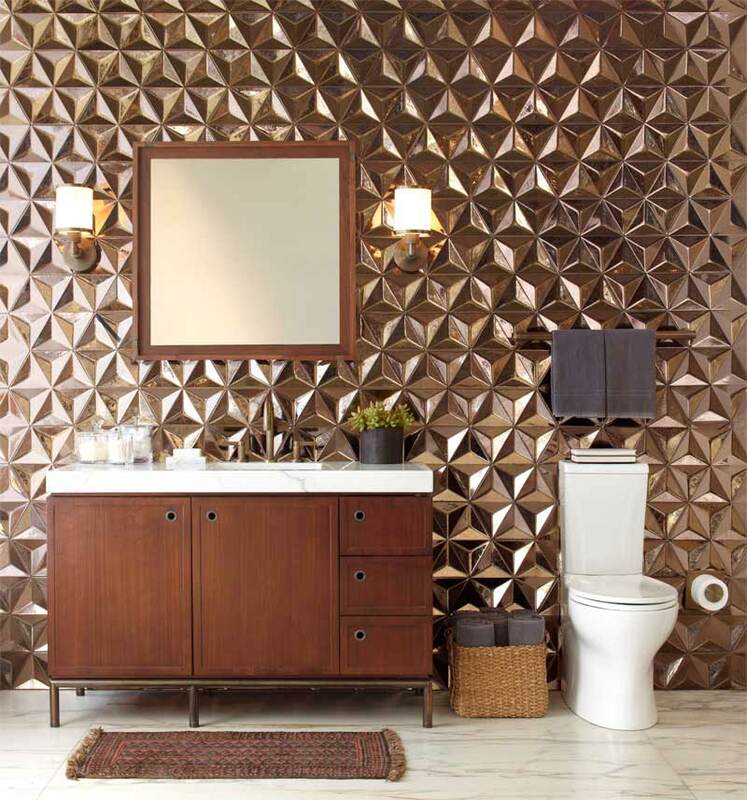 Wallpaper isn’t the usual choice for a bathroom but it is an easy way to add interest especially water-resistant options. 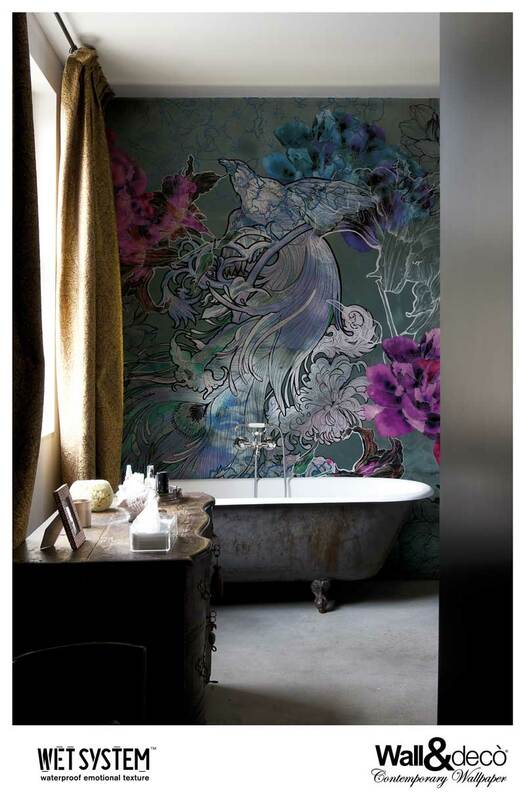 Mystical Dreams from West One Bathrooms has all the high drama of the Sistine Chapel’s ceiling for you to enjoy in the comfort of your own bath. When is a sink not a sink? When it’s a design statement. Villeroy & Boch’s new Octagon is just that. 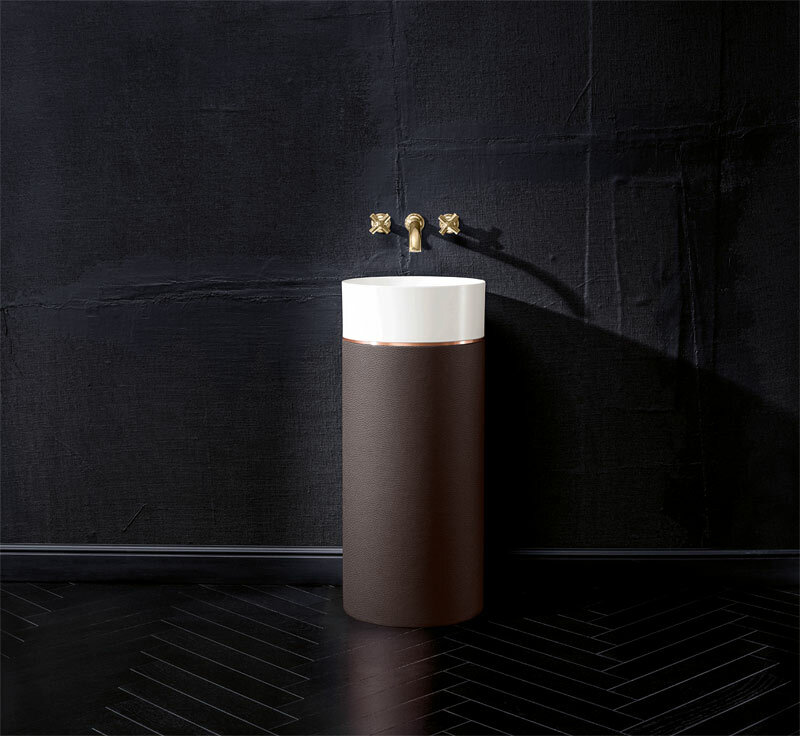 The basin sits on a leather-wrapped, free-standing pedestal – its elegance is assured. You’ll never look at a sink in the same way again. The crowning glory of any bathroom is the bath. From traditional rolltops, glowing copper to beautifully carved wooden tubs, there’s a style to suit. 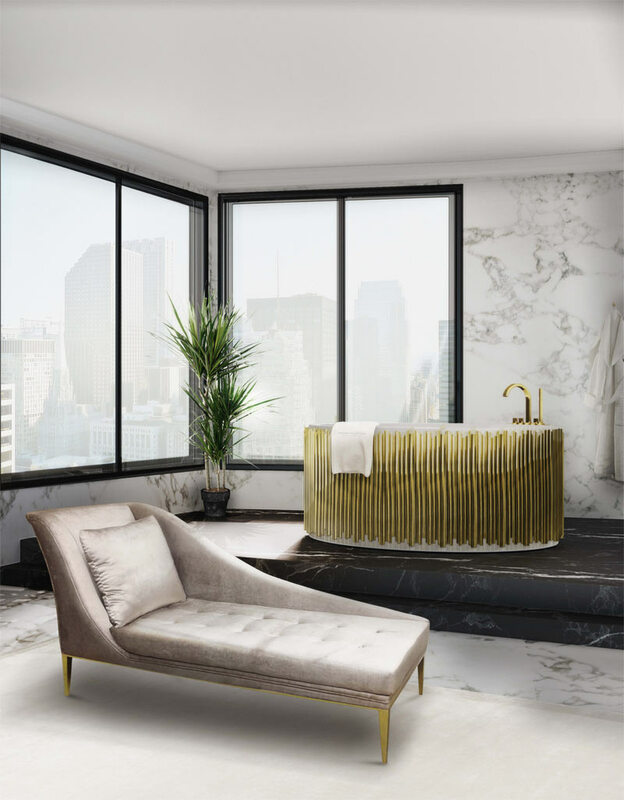 This freestanding Symphony bath from Maison Valentina is inspired by organ pipes but given a luxurious twist in gold. A mirror is a vital part of any bathroom but that doesn’t mean it has to be utilitarian. 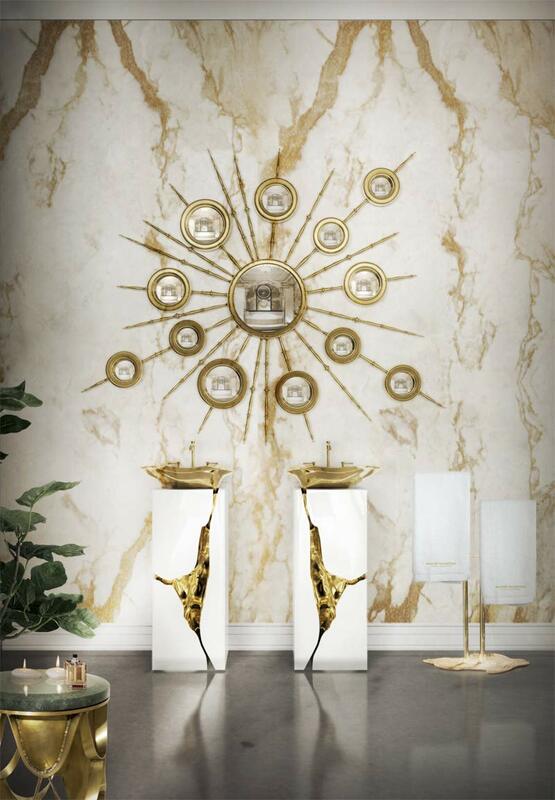 Add a touch of fun with Boca Do Lobo’s Apollo mirror. This quirky starburst is reminiscent of planets orbiting the sun and each inset globe will reflect light around your bathroom. If you would like any interior design advice on how to bring a touch of luxury to your bathroom, get in touch with the team today.